In ancient times, South American civilizations discovered a wild plant that produced a bright red fruit. 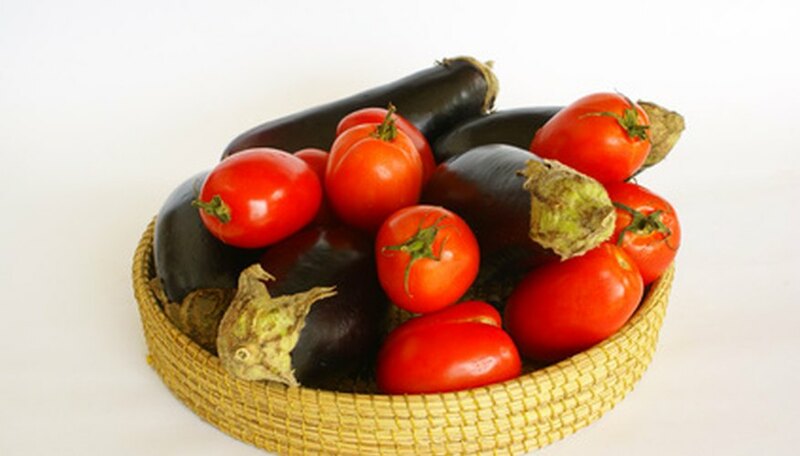 Although the leaves of the plant were poisonous, they learned that the fruit was good to eat and began cultivating the plant, and tomatoes became part of the human diet. A look at the taxonomy of tomatoes reveals some surprising relatives. The form of plant classification, or taxonomy, used today originated with Carolus Linnaeus in the 18th century. Although a physician by trade, Linnaeus' passion was for botany, and he devised a taxonomic system that classified plants based on their relationships to each other. Classification begins at the kingdom level and proceeds through lower classifications. Species belonging to the same lower classifications are more closely related than those sharing just a kingdom or other higher-level classification in common. Linnaeus' scheme terminates with the species, a classification that indicates that all members are closely related enough that they can reproduce together and produce fertile offspring. Tomatoes belong to the plant kingdom, a broad classification that they share with other species such as moss, ferns and trees. Plants are multi-cellular organisms, and their cells contain a true nucleus, but the most important distinction of the plant kingdom is its ability to produce its own food. Unlike other kingdoms, which consume other organisms to survive, plants use sunlight to produce sugar in a process called photosynthesis. Photosynthesis occurs in special cellular structures called chloroplasts, which give plants their green coloration. 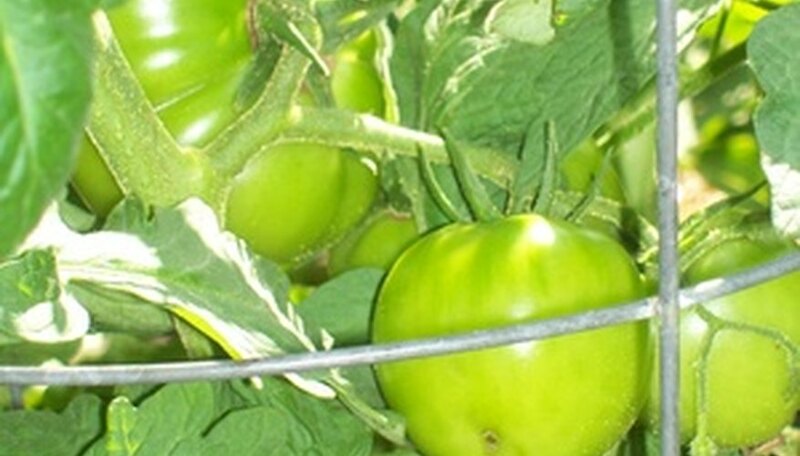 Within the green leaves of tomato plants, photosynthesis keeps the plant alive. The sweet taste of tomatoes comes from sugars produced during photosynthesis. Beyond the kingdom level, plants are further divided into mosses, ferns, gymnosperms and flowering plants, classifications that consider plant structure and reproduction. Tomatoes are able to conduct water and nutrients through an advanced vascular system and rely on flowers for reproduction, locating them within the flowering plants, or angiosperms. The bees buzzing around your bright yellow tomato flowers in the summer are busy conducting pollen from flower to flower, fertilizing the plant, which then produces tomatoes. Flowering is a vital attribute that has made angiosperms overwhelmingly successful on Earth. At the genus level of classification, tomatoes belong in the genus Solanum, also known as the nightshades. Although nightshades include familiar food crops like tomatoes, potatoes and eggplant, the rest of the plant is poisonous. Nightshades primarily grow in tropical regions. In fact, the garden tomato originated with wild species that grew in South America. In 1893, John Nix paid a vegetable tax on a tomato import. Later discovering that, botanically speaking, tomatoes are considered fruits, not vegetables, Nix sued for the taxes he'd paid. His case made it as far as the Supreme Court, where it was decided that common speech--not botanical technicalities--would determine which plants were taxed as vegetables, and the Supreme Court declared the tomato a vegetable. Despite the court's ruling, tomatoes are, in fact, classified as fruits. Plants form fruits to protect their fertilized seeds and encourage consumption by animals, which then disperse the seeds far and wide through their droppings. 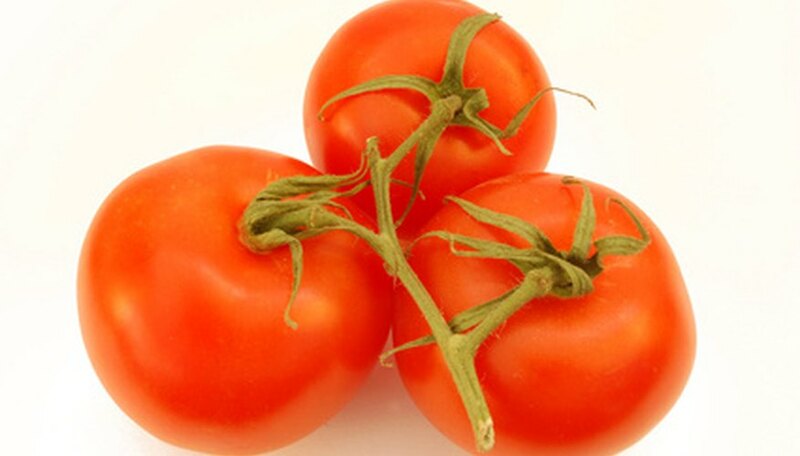 Because tomatoes aren't as sugary as many other fruits, some continue to identify them, based on taste, as vegetables.